As the official representative of the Sallie Harrison Chapter, our regent is key to ensuring the continued success of the chapter. Since it was founded in 1918, the Sallie Harrison Chapter has been honored to recognize these 46 women who served and continued to lead, encourage, and promote the mission of the DAR within the chapter and across our community as chapter regents. The chapter regent also represents the Sallie Harrison Chapter as part of the regional Volusia-Flagler-Seminole Regents' Council. 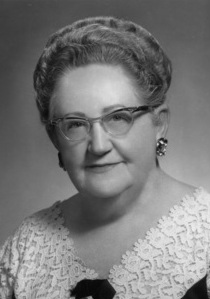 Mrs. Leonardy, a past chapter regent (1928-1929), also served as the State Regent of the Florida State Society Daughters of the American Revolution from 1929-1931.